This is, for example, the attachment in the attach-block shape. This is one version (the more common type) of attach-extend shape. The other one starts with at a.
Charles This is a quite fundamental sabaki technique. 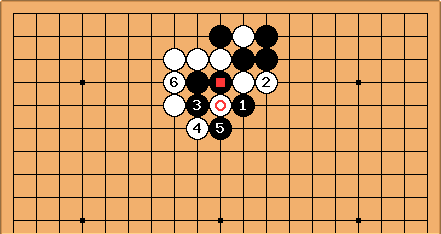 Assuming White is obstructed from extending in the direction of the circled points, and doesn't want to jump out immediately at a, then can be considered. This offers Black the chance to capture . 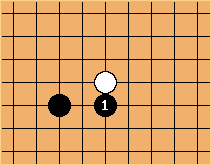 White can give up that stone, or , in the sequel: but mustn't sacrifice , which is pivotal. 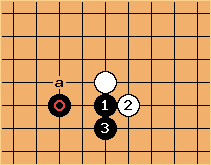 The choice of is also available: but leads to wilder variations. Once more White must save . If black cuts, white will threaten with a ladder. 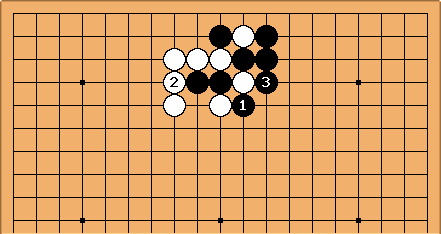 It doesn't matter whether this ladder "works" or not, although if it does it is even better for white. 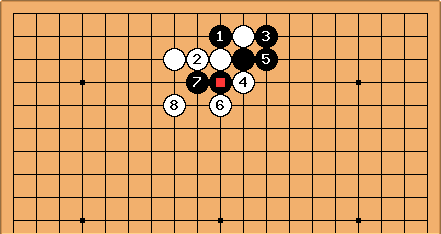 Since white is operating in black's sphere of influence and just trying use sabaki and make shape, this diagram is already a success for white, whether can be captured or not. I wouldn't want to see and in this position. 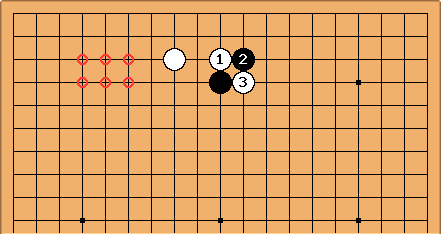 If White 4 at , it gets wild again, so I might consider this continuation.